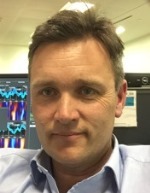 Guy Lloyd is a Consultant Cardiologist and Clinical Lead for echocardiography at Barts Heart Centre as well as the Barts Health group of hospitals, the largest NHS echo department in the UK. He is the immediate past president of the British Society of Echocardiography and a council member and chair of meetings for the British Heart Valve Society. In addition he chairs the British Cardiovascular Society Imaging Council. He has a major clinical and research interest in valvular heart disease, stress echocardiography and exercise physiology.